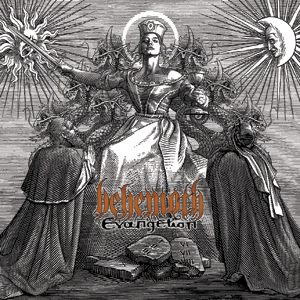 Lock up your grannies, Behemoth are back in town and they’re going to finish off God good and proper. ‘Evangelion’ is an inspired affair, with the brutality gauged perfectly. They’re not afraid to pull things back to stop the songs becoming a trundling wreck of noise. Nergal’s vocals are brilliant, the occasional Eastern influences light textures in the shadows. Whether it’s a rain of fire (‘Transmigrating Beyond Realms Ov Amenti’), atmospheric thump (‘Alas, Lord Is Upon Me’), marching to war (‘Lucifer’) or a Gojira-ish humpbacked, stomp (‘The Seed Ov I’) this is the most interesting metal album of the year.